Welcome to South Central Junior-Senior High School’s website! SCHS serves approximately 475 students in grades 7-12. We are located in rural Union Mills, IN in south La Porte County. Here at South Central, we pride ourselves on a longstanding and rich tradition of academic excellence. That combined with the many programs we are able to offer to our students enables us to offer a rewarding and well-rounded educational experience to all children in the South Central community. We are very proud to be a high-performing school! For many years now, we have been working on transforming our school culture to that of a professional learning community (PLC). Our schedule incorporates a Wednesday delayed student start that provides teachers extra time to work collaboratively to ensure that our curriculum, instruction, and assessment is aligned with student performance. Additionally, a 25-minute resource period called Satellite Study Time (SST) is built into the daily schedule to allow students a structured time within the school day to work individually with their teachers to enhance their understanding of course concepts. Together, these two practices work to ensure that all students learn and excel at South Central. We believe that student learning must be the driving force behind everything we do at South Central Junior-Senior High School. As long as we always maintain that focus, the curriculum, instruction, and programs that we develop and offer to our students will function to promote learning for ALL students. To that end, we continue to develop new interventions for struggling students as we also continue to expand our course offerings for high ability students. Through these efforts, I am confident that we will be successful in our journey to meet the needs of every South Central student. Parental involvement is very important to us! We greatly value collaboration and input from parents, families, and community members. We always welcome you to visit our school. Please contact the office if you wish to schedule a time. I am honored to serve as your principal and I look forward to assisting in making the educational program at SCHS a success for all children! 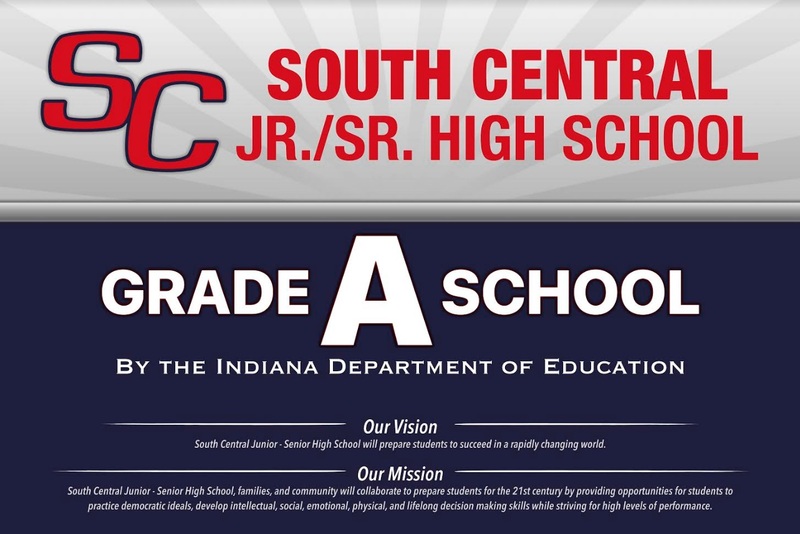 Vision: South Central Junior - Senior High School will prepare students to succeed in a rapidly changing world. Mission: South Central Junior - Senior High School, families, and community will collaborate to prepare students for the 21st century by providing opportunities for students to practice democratic ideals, develop intellectual, social, emotional, physical, and lifelong decision making skills while striving for high levels of performance. Request your high school transcript from the Parchment web site.